A safe, healthy environment is provided for infants to 3 years old. The nursery is available for both Sunday School and our 10:00 Worship Service. We provide classes for children from Pre-K (age 3 and potty-trained) through the 6th grade from 9:00-9:45 am. In these classes, children learn from the Bible in an age-appropriate environment, which helps to foster their foundational Christian education. An exciting time of worship specifically designed for kids Pre-K (age 3 and potty-trained) and Kindergarten that takes place during our 10:00 Worship Service. Your kids will love the music, games, Bible lessons, and various learning activities they will experience as they learn about God and His Word. There are other events throughout the year specifically designed to minister to the kids of New Carlisle and the surrounding areas. 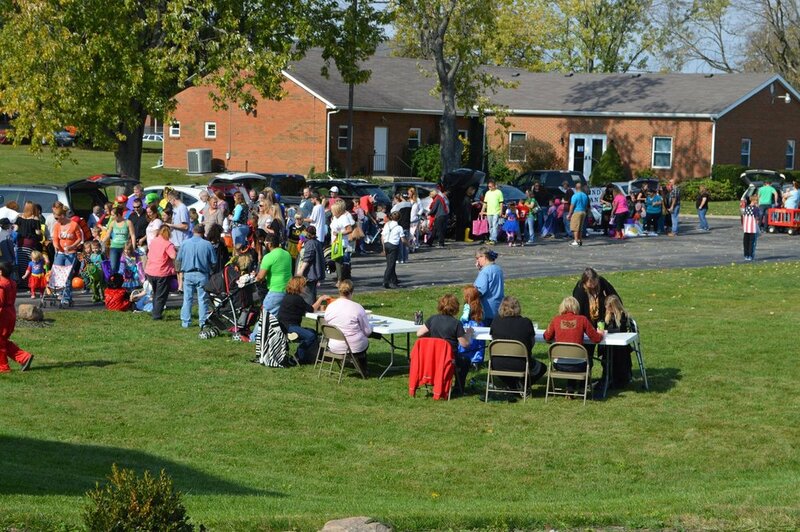 The two biggest of these events are our Vacation Bible School (VBS) in the summer, and our Trunk n Treat each October. Both are open to the community, and we see a great turnout each and every year.